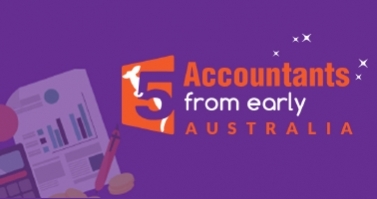 This post is a continuation to the previous one, where we opened discussion towards the life, career, and accomplishments of great accountants in the history of Australia. You can read that post by clicking here. In this post, we’re about to unravel the lives of the first female gold medalist accountant, a trailblazing female accountant and lastly an accountant who went from serving tea to becoming the Prime Minister! Interested? In 1915, the Institute of Accountants and Auditors of Western Australia (a precursor of CPA Australia) raised more than a few eyebrows by admitting Mary Addison Hamilton (Addie) as a member. That made Addie the first woman to be appointed to a permanent position with a professional accounting body!Addie studied accountancy at night school and topped the Fremantle Chamber of Commerce examinations becoming the first female gold medalist. We’re talking pre-WWII era when the attitude towards women being hired in professional roles wasn’t great. Women were actually refused entry into such professions! Hamilton created waves for the upcoming generation of female professionals as she worked as a clerk for the WA Public Services. She also volunteered her services as treasurer or auditor to many non-profit outfits. Barbara Pimlott like many other youngsters of her generation had forayed into accountancy as a career just to rid her family of poverty. Hit hard by the 1930s Depression, Barbara’s family was seeing difficult times. With father’s building business crashed, Barbara was of the many youths who chose accounting since they couldn’t afford studying law or medicine. Barbara Pimlott and a lot of other aspiring women accountants, moved into mainstream commercial accounting in the wake of WWII when all the men had joined forces. Pimlott was no less than a trailblazer and had won a Medal of the Order of Australia for her contributions to the field of Accounting. She served the Australian Society of Accountants for 40 years & was an honorary FCPA. Sir Arthur Fadden’s life story is nothing short of a Sydney Sheldon novel, except he was a man. Sir Arthur Fadden, aka Artie left school at the age of 15 to work as a billy boy at the sugarcane factory. What followed in his life, was an accounting career that lead him to become the Prime Minister! In the 1940s as deputy and treasurer to Sir Robert Menzies, the then Prime Minister, Fadden brought down a record 11 budgets, and is famous for the infamous budget of 1951-52 which raised taxes to attack inflation. Artie recognized a lack of long-term borrowing finance for farm development and small industries and in the 1950s he created the Commonwealth Development Bank. Fadden was at the core of numerous economic reforms in early Australia and a lot of today’s politicians envy Fadden’s abilities of seeing through commercial trends. But this foresight is what accountants’ expertise is all about. Wrapping up, we know there are a lot of other iconic accountants Australia has seen and we hope that soon we’ll be writing another post honoring those imminent personalities as well. If you know of a famous accountant who you believe has shaped the economy of Australia either in their own shoes or serving in a different role, do let us know.